What if Ronda gets fired? Recently, the current WWE Champion Ronda Rousey challenged WWE to fire her if they had any problems with her actions on Raw this week. Ever since the Rowdy One turned heel, she has been doing things “unprofessionally”. Attacking a WWE official has now become like a game for her. This week she laid hands on security when they tried to calm her down. Even though it seems unlikely that WWE will ever fire her for real, they can do that in a storyline, at least. WrestleMania is just a few weeks away and this will be a great way to create some hype for the pay-per-view. But what will happen if she gets fired? This is going to be the biggest question in the mind of the WWE Universe and in this article, I will try to answer exactly that. The biggest heel in WWE, right now? Ronda Rousey challenged WWE to fire her and we know very well who takes these types of decision in this company. Yes, it's Vince McMahon. The Boss has fired many superstars in the past whether it's in a storyline or in real life. His character is suitable for doing this type of stuff in WWE. 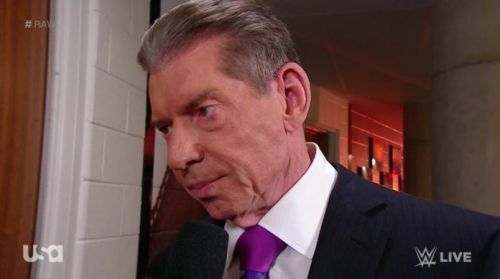 From the past few weeks, Vince has been screwing wrestlers like Becky Lynch and Kofi Kingston by taking inappropriate decisions. And it wouldn't be shocking if he fires Ronda next week on Raw. He has done that before with many wrestlers and he can do the same this time too. Even though the Raw Women's Champion is a heel right now, it will still generate heat for Vince McMahon if he pulls her from the biggest match of this year's WrestleMania. He has already done things that are more than enough to call him at true heel but still, the boss seeks for more. WWE RAW: 5 Surprises That Could Happen- Roman Reigns returns, Ronda Rousey punished?